Discover Andalucia's exotic Moorish past on a unique journey of its food culture while exploring quirky mountain villages and towns. Andalucia is home to some of the most magnificent and historical cities in Spain. The succession of Roman, Jewish and Muslim rule of Medieval Iberia (modern-day Spain) has heavily influenced Spain's language, culture, and notably the architecture whilst equally celebrating differences across the cities. On this trip you will travel from the glistening Mediterranean Sea into desert and majestic mountainous landscapes, learn about olive growing and caviar production, discover traditional crafts, explore cave houses and castles, eat at authentic local tables and top restaurants and authentic local tables; and the best jewel in the crown a visit to Granada’s unforgettable Alhambra. Accommodation will be in luxury 4-star hotels and transport by private bus with wifi and an excellent driver! Take some time out this coming June, 4th - 10th, and join a small group by Fiona Dunlop, food and travel writer and author of recently published Andaluz - a Food Journey through Southern Spain. Contact us for more details on this unique journey when Spain is green and lush and before the summer heat is upon you. Or enjoy a private tour of Seville, Cordoba and Granada finding the lesser-known spots for real exploration into the local culture of Spain. You will arrive into Malaga on a flight or train of your choice and be transferred through to the fabulous Molina Lario Hotel right by the Cathedral. Take some leisure time that afternoon at the world-famous Picasso Museum or Malaga’s Centre Pompidou, both just minutes away, before meeting the group later on in the day. A Welcome dinner will be served in a traditional restaurant nearby. This morning you will make a visit to the busy and atmospheric Mercado de Atarazanas, offering the best fresh produce in the region. 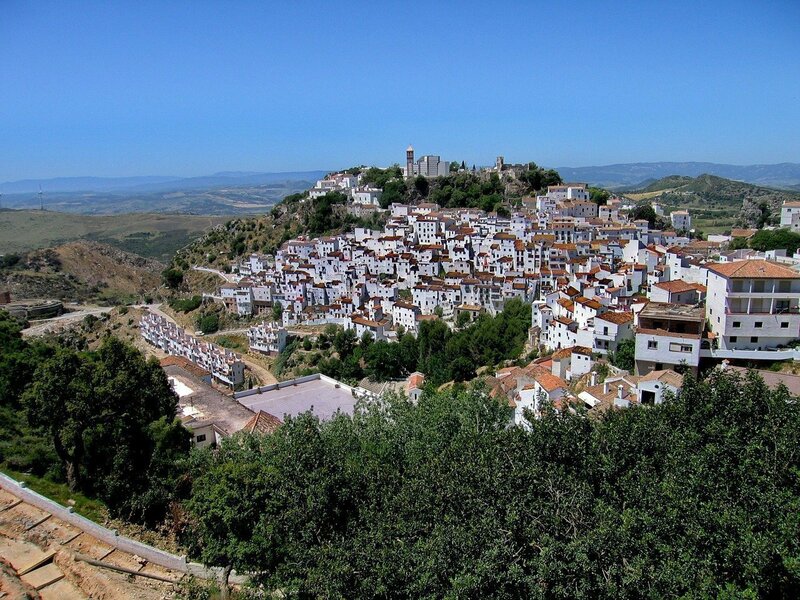 Later on you will take a leisurely drive out of the city eastwards, along the coast stopping for lunch at one of Spain’s most beautiful pueblos blancos with views to Africa. The drive will continue onto Almeria where you will enjoy a guided tour of the massive hilltop fortress, Europe’s second largest Moorish structure after the Alhambra, before checking into your hotel in the historic centre. After a long day settle into a very Spanish style evening enjoying a tapas-crawl through the town centre. This is a chance to experience two or three local bars, tasting local specialities, seafood and local wines from Almeria. 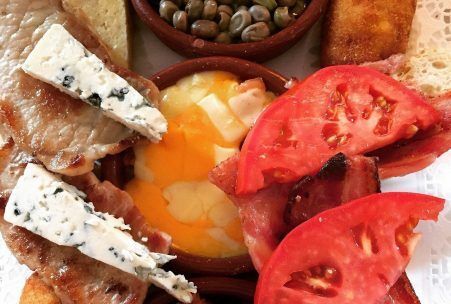 Almeria is Spain’s named ‘gastronomic capital’ for 2019, so look forward to a very high standard! After breakfast, take the chance to stroll through the centre to see the ‘walk of fame’ of Almería´s thriving 'spaghetti western' movie industry. Not quite 'Hollywood' but a fun experience. Later on in the day yo will continue to explore this most eastern part of Andalucia with a visit to the picturesque craft village of Nijar, famed for its ceramics and textiles, before continuing south past the inescapable polytunnels of Almeria province and into the volcanic Cabo de Gata nature reserve. This stunning nature reserve is renowned for its sal pan lagoons and pink flamingos (sightings not guaranteed). Enjoy a lunch of fresh seafood and rice dishes at a typical chiringuito or beach restaurant. 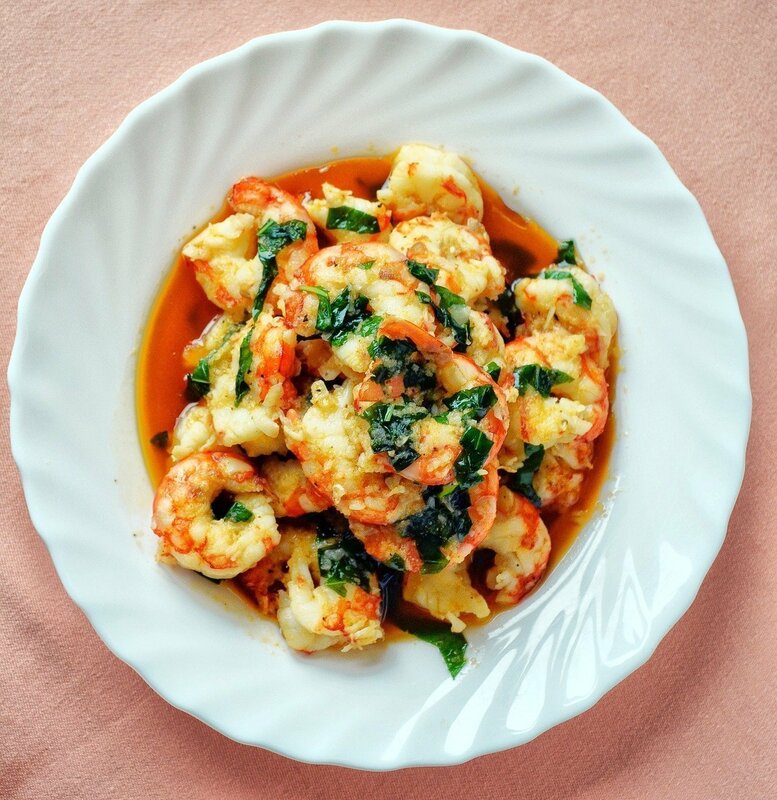 In the evening there will be a fun tapas cooking class with local cooks – and an opportunity to try out some your your newly acquired Spanish skills. Take a short stroll around the town before heading onto the Alhambra for lunch at the Parador and meet chef Juan Francisco Castro for a brief tour of the herb garden. 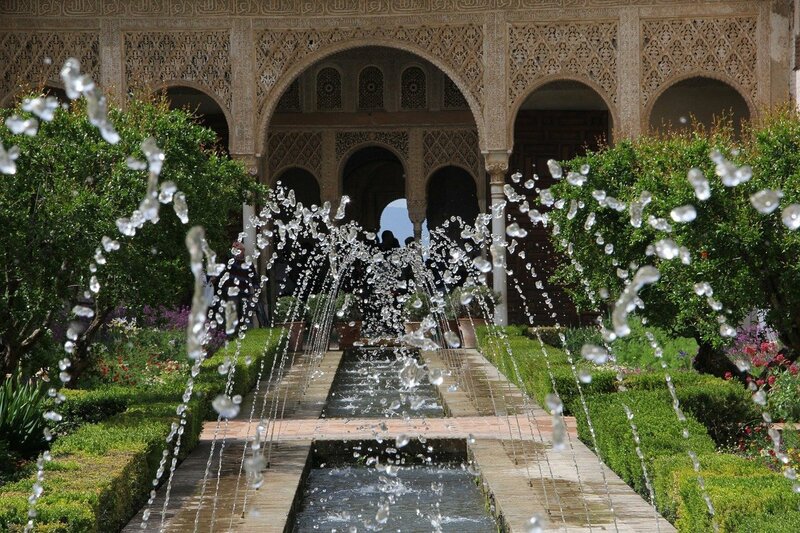 The afternoon will be completed with a fascinating tour of the beautiful Generalife and Nazrid Palaces. Today you will take a journey into the spectacular hills of the Sierra Nevada to visit an award-winning olive press. Here you will learn how olive oil production comes together under the warm blue Spanish skies before enjoying a tasting session, it may not be wine but it is possible to discern the depth of flavours in olive oil just as you can with wine. Lunch is at a local riverside venta deep in the valley, a favourite for miles around. The afternoon is free for some relaxation, refection sightseeing around the narrow lanes of the old city or shopping. 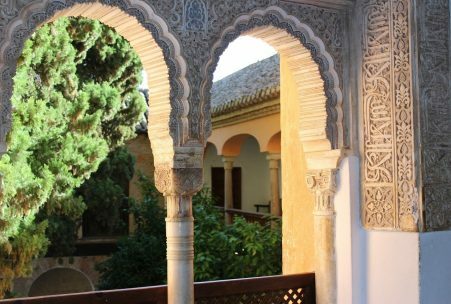 Book a table in a typical converted Carmen (grand house in a walled garden) in the old Moorish quarter of the Albayzin with fabulous views of the Alhambra. Your journey today will head westwards towards Antequera, a medieval fascinating town with a profusion of burial mounds, dolmens, Roman baths, a Moorish Castle, Gothic churches, Renaissance fountains and baroque bell towers. The National Parador of Antequera will be your final night stop on this culinary tour. On arrival you can explore this attractive historical town or just relax by the hotel pool. During the day as you journey through to Antequera you will have a short stop to experience some caviar tasting at a sturgeon farm and learn about bee-keeping in a traditional farmhouse, or cortijo . DAY 7: Departure day. This morning you will be transferred back to Malaga airport for your flights home, alternatively you may like to extend the trip and include Madrid, of which you have the option to fly or enjoy the fast AVE train from Antequera.